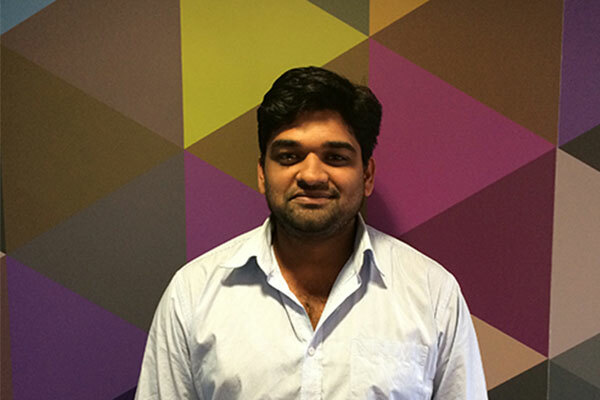 This week we are headed to the back end software team to meet our DevOps Manager, Muzeeb Mohammed. Muzeeb is a critical piece of the Brandworkz puzzle. Without him we wouldn’t have the great IT infrastructure we are lucky to have here at Brandworkz. Muzeeb is in charge of installing, supporting and maintaining the servers and other computer systems that our developers use. He is also responsible for planning ahead so we avoid outages or other problems that may arise. Muzeeb runs routine audits of the servers, software and database administration. He has just been working on testing and releasing the latest version of Brandworkz and clients were upgraded this week. There is always something exciting happening here at Brandworkz! Muzeeb is from London and outside of work he enjoys playing and watching cricket and football. He also enjoys going to see films. He has a little boy and he and his wife are expecting baby number two in a few weeks! His interesting fact is, he did his degree in Electrical and Electronics Engineering, but has somehow ended up in IT. I don’t think his job and his degree sound like they are too far off each other, but I’m in marketing and I only know where the on/off switch is.